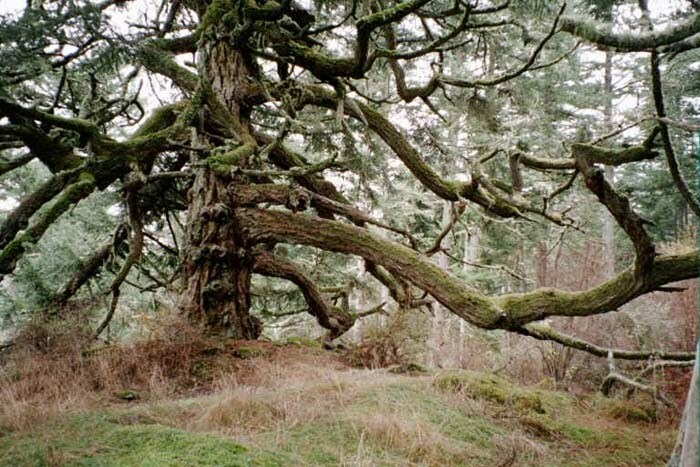 This tree is located north of the Friday Harbor Labs at the University of Washington Biological Reserve on San Juan Island. It was one of her favorite places. On a nice day, you can face south and just see the big WSDOT ferries come and go but you're far enough away to be sheltered from the noise. Being a reserve, all the animals are protected and if you sit still long enough, deer will sometimes approach you. We scattered her ashes at this tree. Here is the story of her accident.